Bob is director of content marketing for the Americas region at Cisco, working every day to create content that informs, interests, and educates their customers. Right now he’s in the middle of a structural and cultural transformation in marketing,bringing the company to a customer-first marketing model. A late bloomer, Bob moved from engineering and sales to marketing just 13 years ago. 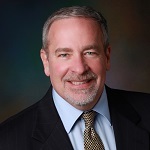 He has held technical leadership positions in both large and small companies, including engineering and consulting positions at Raytheon, Booz-Allen & Hamilton, CrossComm, and Cisco.